This year the Global Cup – World Senior Volleyball Championships for 50+ celebrated its eleventh year. Four world-class teams converged on St. George, Utah, USA, for another shot at a world championship. Canada, Russia, Switzerland and the United States each brought a team representing the best that each nation had to offer. 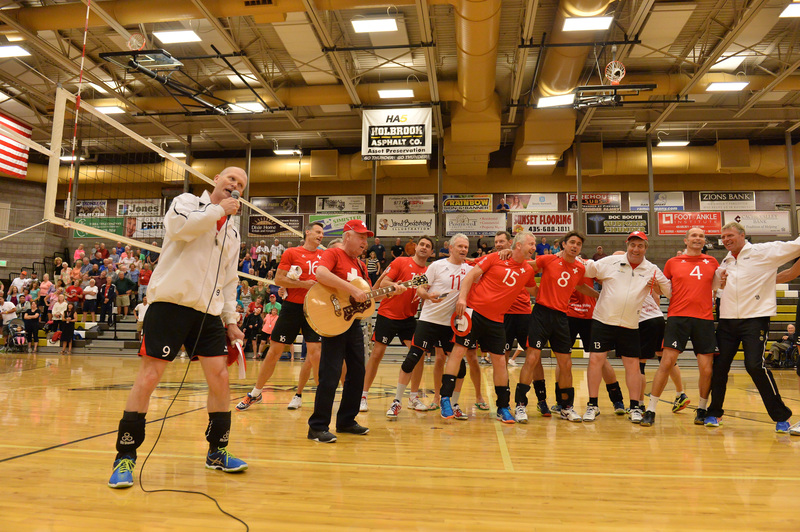 The teams were welcomed to St. George on Sunday, October 9 with a dinner and entertainment. Teams had the opportunity to socialize and enjoy the singing of Emily Ivie from Las Vegas, Nevada. The captains meeting also took place at that time where the rules and format were discussed and finalized. Competition began on Monday, October 10 with a round robin format that seeded a second round ribbon which in turn seeded the modified double elimination tournament. After the double round robin portion was completed, the teams were seeded 1 – Russia, 2 – USA, 3 – Canada and 4 – Switzerland. The first round of the modified double elimination pitted Russia against Switzerland on court one with Russia easily handling the Swiss. 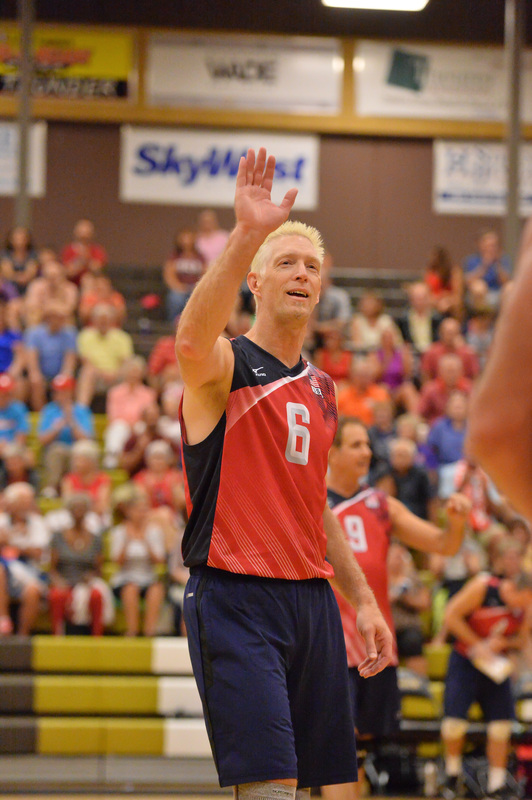 USA and Canada battled on court two with Canada coming away victorious in a slight upset. Canada then faced the dominant Russian team and lost in two sets, advancing Russia to the finals. The United States defeated Switzerland for a rematch with Canada with the Canucks once again coming out on top, setting up a Russia vs. Canada gold medal match and USA to fight for the bronze against the Swiss. Thursday, October 13, at Desert Hills High school the medal matches were played beginning at 5:30 PM. The night began with a best of three series for the bronze medal. Play was sound on both sides of the net, but youth overcame experience with the United States coming out on top. The United States has won one Global Cup 50+ over the past 11 years when they took home the world championship in the very first year. The best Switzerland has done is bronze in the 2015 Global Cup. The bronze medal match can be viewed here. The gold medal match was played in front of a full and rowdy crowd. The best of five series began with team introductions at 7:00 PM and play starting around 7:15 PM. 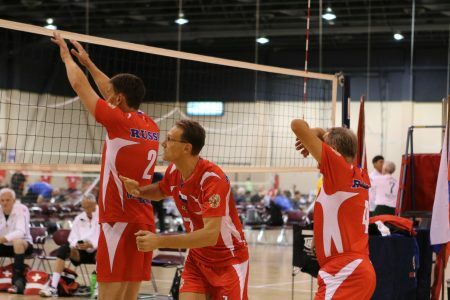 As they did throughout the entire tournament, Russia dominated play against Canada winning without giving up a single set. In fact, the Russians didn’t submit a single set in the entire tournament. This victory makes four championships for the Russians in the 50+ Global Cup, becoming the only team to four-peat in the competition. The gold medal match can be viewed here. Medals were awarded immediately following the matches and the Russian national anthem rang through the gymnasium after the gold medals were placed around their necks. 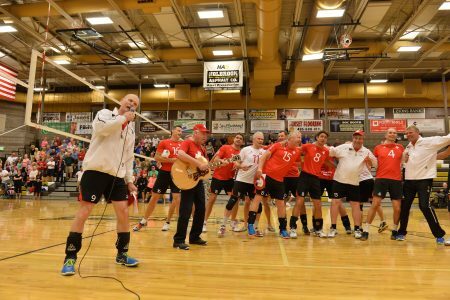 The next Global Cup 50+ will take place October 16 – 19, 2017, in St. George , Utah, USA. Women’s teams will take the court. In 2017, both Brazil and Greece will also host Global Cup – World Senior Volleyball Championships.